I thoroughly enjoyed my stay at Brisons Veor and it marked a creative high point in my year. 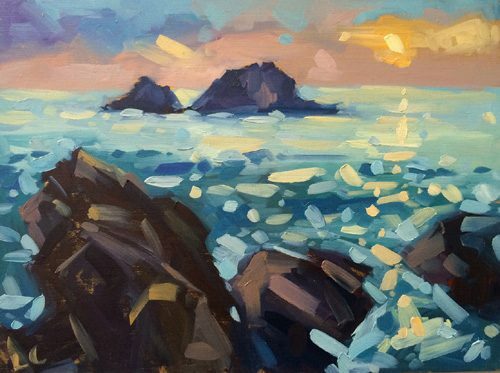 As a plein air landscape artist I thrive on the experiencing new views and conditions to challenge me and the landscape in the area is hugely inspiring. 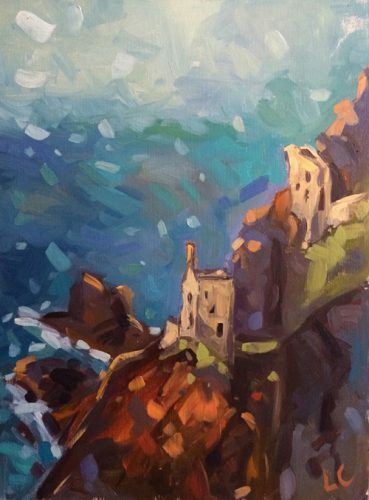 I started painting on the second day and did at least two paintings everyday using Cape Cornwall as a base, travelling to paint the surrounding landscape in the morning then returning to the studio with a pasty for lunch and painting around the cape in the afternoon. It was a lovely routine.